I love how sometimes you can throw together bits and pieces from two different worlds and end up with something you love. 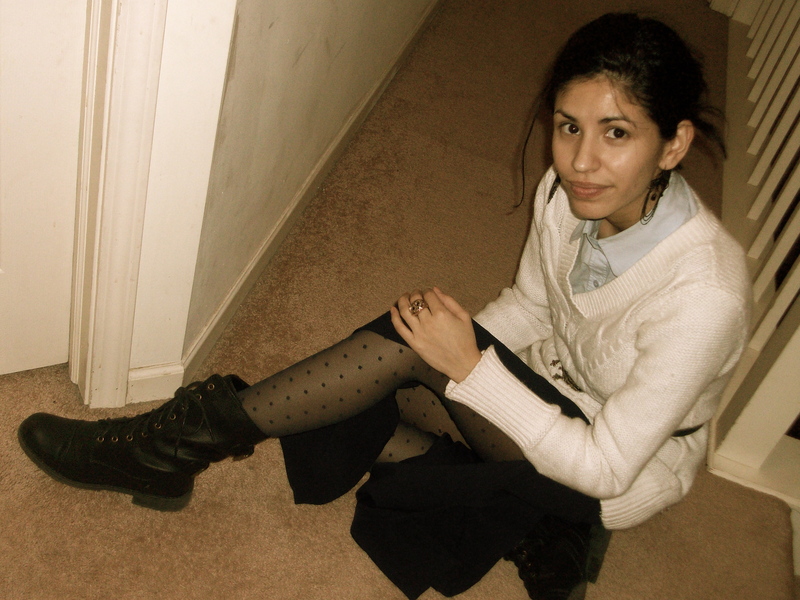 Take this button up and key winter knit for instance that I paired with a maxi skirt and combat boots-love it so much that I don’t want to take it off! It’s such a comfortable outfit that works for both the weekend or the office. It gives off a very put together vibe with my collar buttoned all the way. 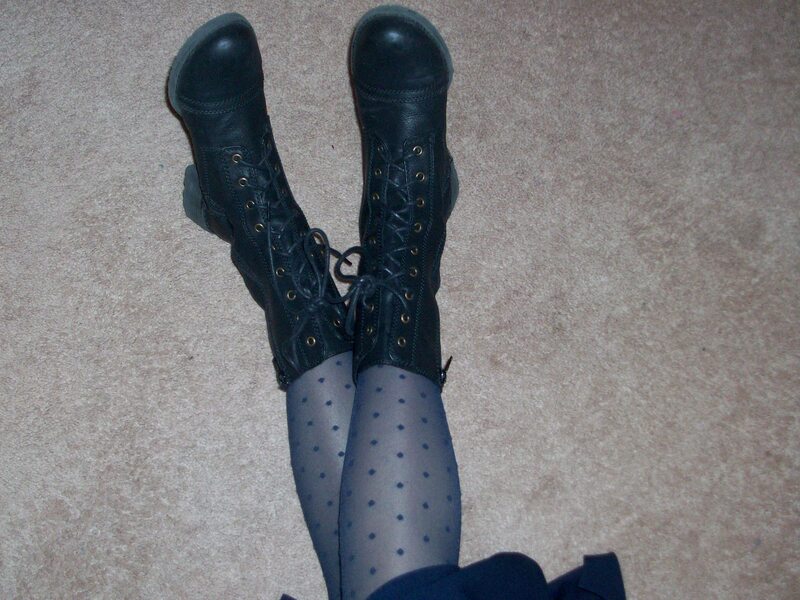 But then, the blue polka dot tights and grungy combat boots say something completely different. 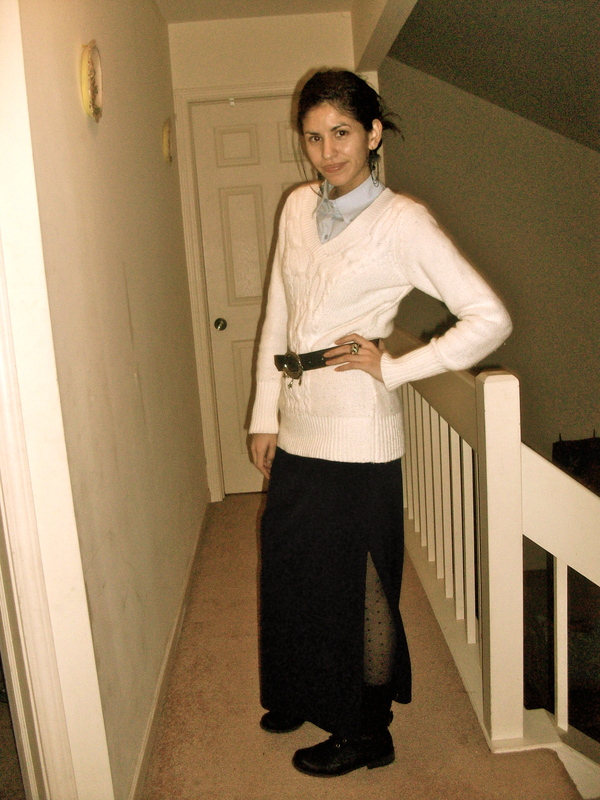 Instead of lady like demure-it’s more like, bring it on world cause I’m fearless and ready for you! Anyway, in the winter I’m always up for experimenting with items that contrast in order to create something new and exciting. Sometimes it works…sometimes not so much…I do however, always remember to belt it all in so I don’t lose my shape or get eaten alive by a maxi skirt. ps. follow me on Twitter to keep up with new posts! Next Weekend Casual Classied Up!